The canine under discussion is one of the most famous Belgian herding breeds that is better known for its elegant first impression and an upright muscular build. These dogs are smart and may be prompted into action almost immediately. Here’s everything you could possibly wish to know about this athletic canine. With an average weight of about 40 to 70 pounds, the Terv stands tall at minimum 21 and maximum 27 inches from the ground. It has a square-shaped body and a spiked muzzle which is aligned with the skull’s top line. Moreover, the Terv has eyes resembling the shape of an almond and are usually in dark-brown color. It has triangular-shaped, upright ears – a characteristic found in most watchdogs. 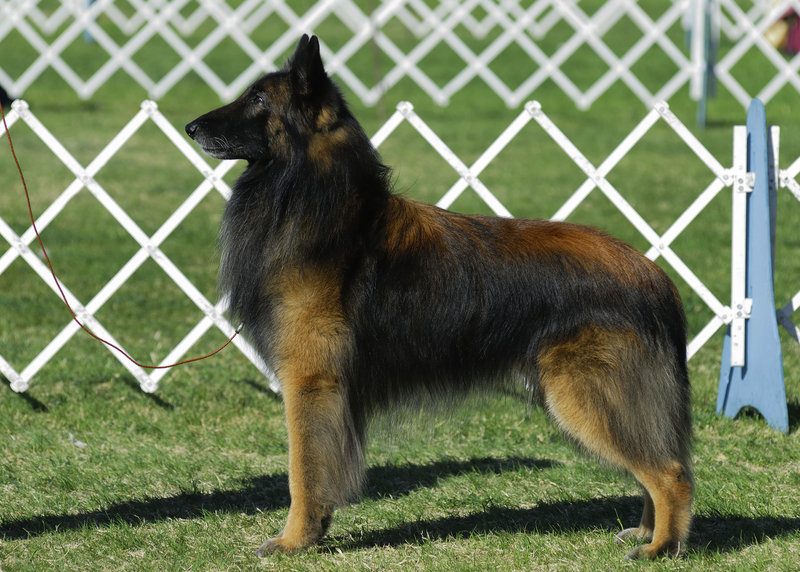 With a deep chest reaching all the way to its elbows, the Tervuren makes for quite the athletic, well-build dog. As for the coat, it boasts a soft, long and thick one that may seem harsh to touch. The undercoat protects the dog in extreme weather conditions. These dogs have a mane around their neck and hair tuffs around the eyes. The mask is usually back, but colors across the body may differ from fawn all the way to shades of mahogany. The tails, ears, and fur are generally nothing but pure black. The topcoat and undercoat make two layers, which makes shedding a perpetual and abundant phenomenon in this canine. Shedding occurs around the year, so yes, you may rightly expect too much dander. These dogs have an average life expectancy that spans from 10 to 12 years. 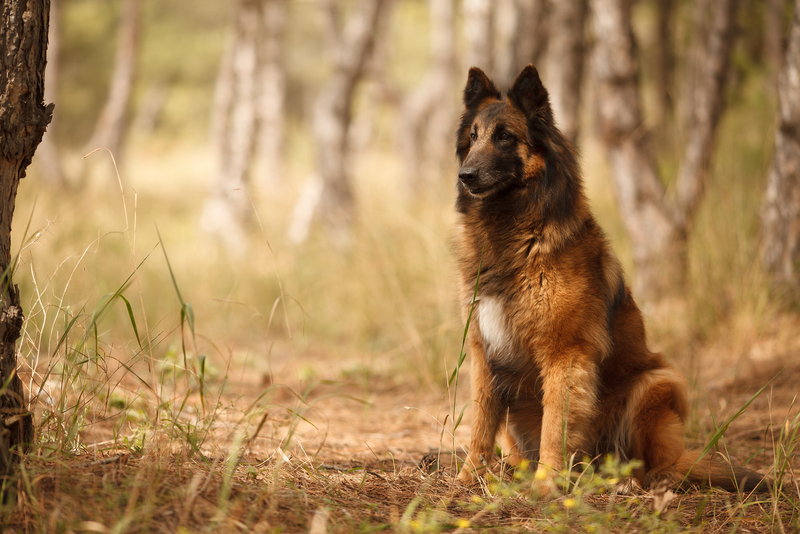 The year-round, extensive shedding makes grooming the coat an essential task with the Tervuren. Brushing must be done once or twice a week to get rid of dead hair and dirt entangled in the heavy coat. Spend at most 20 minutes brushing through the coat using a slick brush or pin brush, whichever is readily available. During the heavy shedding seasons, brushing must be done more frequently. You must ensure minimum dander because allergies could set off. The nails must also be clipped regularly and kept clean. It can be bathed once every season but more often if it is involved in muddy outdoor adventures. Warm baths can also help with the removal of all that dead skin during hefty sheds. The ears must also remain clean to prevent infections and ear diseases, which are a common occurrence in this canine. Moreover, oral hygiene is imperative in these dogs. Make sure their breath remains fresh and brushing is done more often than necessary. Generally speaking, the Terv is a loving, affectionate and loyal breed. These dogs have been known throughout history for being quite the intelligent fella. They remain close-knit and well-bonded with family and can become quite aggressive when they sense danger. They are always on the lookout for family and loved ones and make for quite great guard dogs. During indoor activities, this canine demonstrates a much calmer and relaxed outlook, but outdoors, they can be found chasing cars, people, and even other pets. Thus, it’s a great idea to put them on a leash in unsecured areas. These dogs love attention and isolation may lead to incessant barking and signs of anxiety. Hence, make sure to keep them company whenever possible. The astute qualities of these dogs make for smooth training sessions. They might seem stubborn at first because they prefer using own mind. However, they could be displaying the act to seem more likable and to demonstrate just how smart they can be. They prefer training sessions conducted with incentives such as lots of delicious dog snacks and treats offered for over-achievement. Trainers must use a soft but assertive tone, but since they are already obedient mates, these dogs won’t give you a tough time in obedience classes and agility courses or on the herding trails. They are quite the manageable breed. 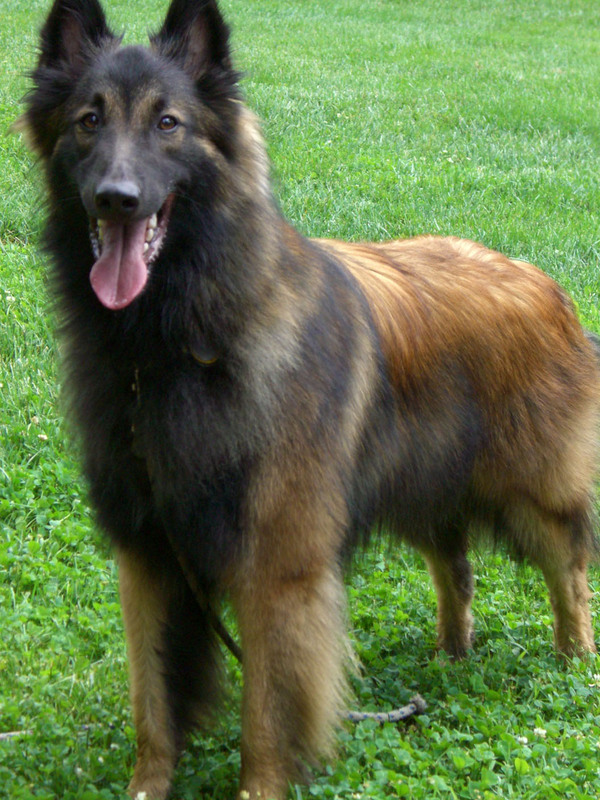 The Belgian Tervuren belongs to the herding breeds that originated in Belgium, hence the name. The term Tervuren has been borrowed from a village in Belgium where these dogs were discovered during the 1800s as an all-purpose dog. The villagers used this canine to flock herds and were also used as protective members of the family. Their ancestry was discovered much later during the 1890s, when the four types of herding breeds were segregated and allotted names. The Terv was initially bred by M.F. 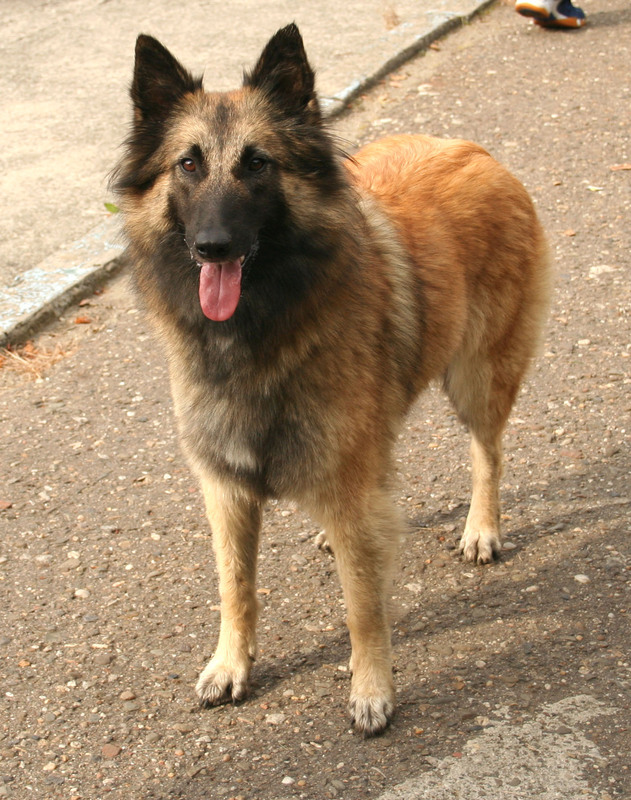 Corbeel who lived in the same village and mixed black dogs and fawn dogs to create what is today known as the Belgian Tervuren. It was first registered by the American Kennel Club in 1918, but not until 1953 was this canine recognized as a distinct herding breed. 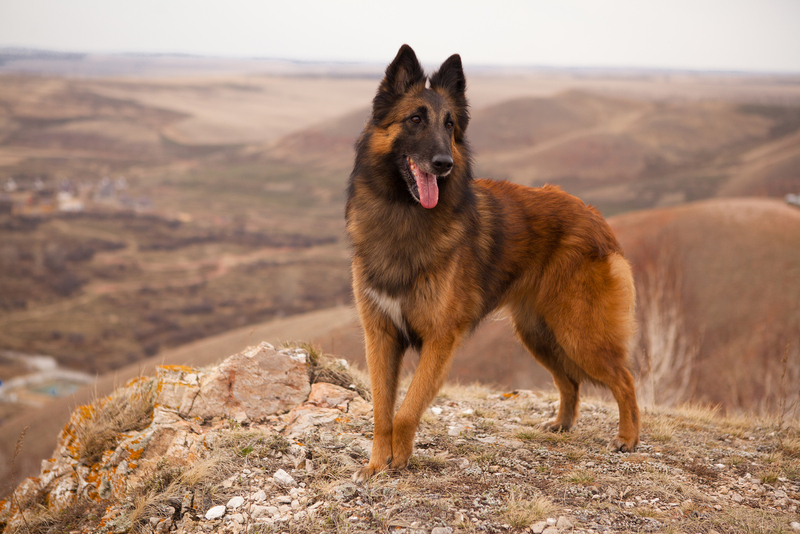 Once used as a herding dog and guarding companion, the Terv has escalated to being deployed as military and police K-9s, search and rescue workers, service dogs, and champion dogs.